Gary Prolman has admitted to laundering $177,500 for a former client, but says he didn't know the money was connected to a drug smuggling ring. The law license of well-known Saco attorney Gary Prolman was ordered temporarily suspended on Wednesday following his guilty plea in federal court in April to a charge of laundering money for a marijuana smuggling ring. Prolman’s law license was ordered suspended immediately under an order signed by Justice Donald Alexander of the Maine Supreme Judicial Court on Monday and received Wednesday by the Maine Board of Overseers of the Bar. “The court finds that such criminal conduct by Mr. Prolman demonstrates his unfitness to practice law,” Alexander said in the single-page order. Prolman, 52, has yet to be sentenced in the money laundering case against him in U.S. District Court in Portland, and the temporary suspension will remain in effect until then, according to Alexander’s order. After Prolman’s sentencing, scheduled for Sept. 4, the state court has 30 days to determine the final order of how long his law license will be suspended, said Prolman’s attorney, Peter DeTroy. Prolman has admitted to laundering $177,500 for a former client, David Jones, but has repeatedly denied knowing that his former client was involved in a large-scale marijuana smuggling operation, driving and shipping hundreds of pounds of marijuana from growers in California to Maine for resale. Prolman broke off ties with Jones shortly after Sept. 5, 2012, when a member of Jones’ ring, Raymond Paquette, was arrested in Kansas while driving approximately 106 pounds of marijuana from California to Maine. Jones was in a car trailing Paquette’s and was also arrested but ultimately released. Jones, 29, of Portland, is tentatively scheduled to be sentenced July 31, but his attorney, Joel Vincent, said he expects the sentencing date to be pushed back. Jones, who has prior convictions, faces up to life in federal prison. Before the money-laundering allegations came to light, Prolman had a lucrative side business as an agent for professional hockey players. He represented promising young players like Brian Dumoulin of the Pittsburgh Penguins franchise and Matt Mangene, a prospect for the Philadelphia Flyers. 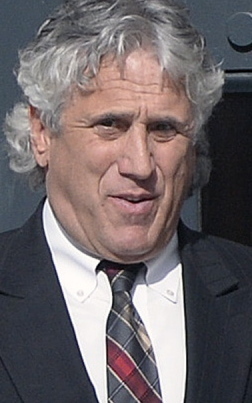 As a defense attorney, Prolman represented several men who were accused in the high-profile Kennebunk prostitution scandal in 2012 and 2013. Prolman began representing Jones in February 2012 as a consultant for Jones’ music and clothing businesses, Kaotik Music Group and Kaotik Clothing. Prolman later agreed to sell Jones a portion of his sports advisory business, GMP Sports Inc., and discussed making Jones a joint owner of the building where Prolman had his law office, at 743 Portland Road in Saco, according to federal court documents. IRS Special Agent Janet Pepin, who obtained a search warrant for Prolman’s law offices in November 2012, said in an affidavit filed with the court that Prolman deposited cash given to him by Jones in amounts small enough to avoid attention from federal authorities. “Prolman admitted that when he received more than $10,000 from Jones at one time, he broke up the deposits in amounts under $10,000 to avoid the currency reporting requirements in violation of (federal law). Prolman stated he did not want the government in his life and did not want to file paperwork regarding the deposits,” Pepin said in the affidavit. Prolman remains free pending his sentencing hearing in federal court, where he faces a maximum sentence of 20 years in prison and a fine of $500,000. Under the terms of his plea agreement, he will have no right to appeal if he is sentenced to 46 months or less.